Situated just west of Chicago, Bloomingdale is one of the oldest villages in the area, with settlers’ roots dating back to the early 1800s. 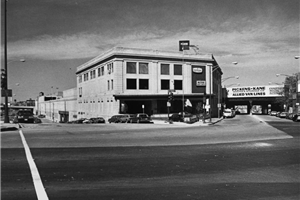 The Bloomingdale movers of Pickens-Kane haven’t been around quite as long as the city itself—but our record is pretty close! In fact, as a professional moving company since 1914, we have some of the most experienced movers anywhere in Chicagoland. Whether you’re planning a move within the neighboring area or all the way across the globe, we’re a locally based and long-established company you can trust. 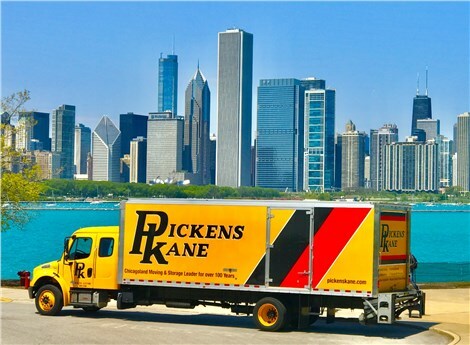 At Pickens-Kane, we’re proud of our 100-year legacy as a professional moving and storage company—but we’re also never content to live in the past. Instead, we’re a forward-looking team that focuses on continuously improving our services and satisfying the needs of our diverse customers. As part of our commitment to excellence, we’ve partnered with Allied Van Lines, one of the most reputable moving and storage networks in the world. With their global support, we’re equipped to move your business or family anywhere you need to go! Residential Movers: Whether you’re moving within Bloomingdale or to another continent, our Allied-affiliated residential movers will get you there with minimal stress. Commercial Movers: Office moves and employee relocations are made easy by working with our expert commercial movers. We can help with everything from furniture installation to IT set-up! Specialized Movers: Our specialty services include local delivery, fine art shipment, furniture distribution, and so much more. Skilled logistics managers are on staff to make sure your projects run with efficiency and care. Storage: We have more than 20,000 square feet of warehousing, available both as a stand-alone amenity and as part of your larger moving and storage plan. For more information about the services of our Chicago moving company, don’t hesitate to contact us now! Give us a call to speak with a Pickens-Kane expert, or fill out our quick online form to sign up for your free on-site moving consultation and written quote.